Confirmation bias is when we seek out information that validates our own point of view. We tune out everything that doesn’t align with our world view or reinforce our opinions of the people around us. 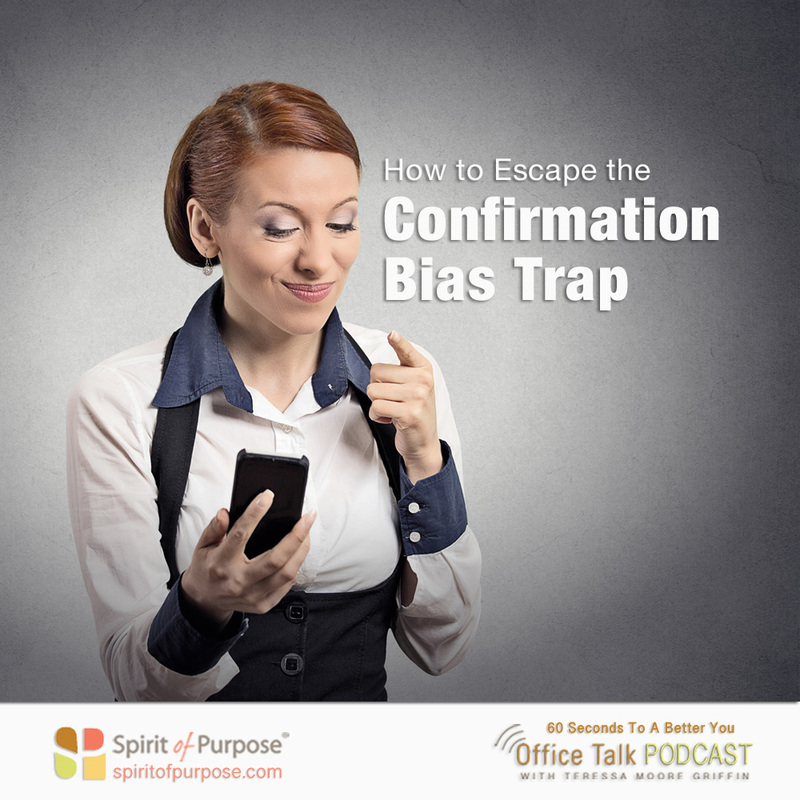 Confirmation bias closes our hearts and minds to the full truth. But there are ways to open our minds and learn to see the bigger picture. It can start with simply being genuinely curious about other people’s points of view. When confronted with an argument or position you don’t agree with, don’t be afraid to say, “I don’t understand. Help me see how you came to see it that way?” Rather than holding on to your perspective as the only right and valid one, invite others to share theirs. Even if you don’t change your mind, you’ll have a better understanding of other ways of seeing the world. You may even develop empathy and appreciation for another kind of diversity — diversity of thought and experience.